See and smell fashion. You can enjoy the exquisite works of Henrik Vibskov, a Danish Designer who is known for his costumes that combine different senses such as sight and smell. The HENRIK VIBSKOV-FABRICATE exhibition invites visitors to explore unique concepts in a recreated runway of “The Mint Institute A/W 2008 Collection” with the smell and taste of mint. The exhibition is held until December 31 at the Daelim Museum, which is open from 10 a.m. to 6 p.m. every day except Mondays. 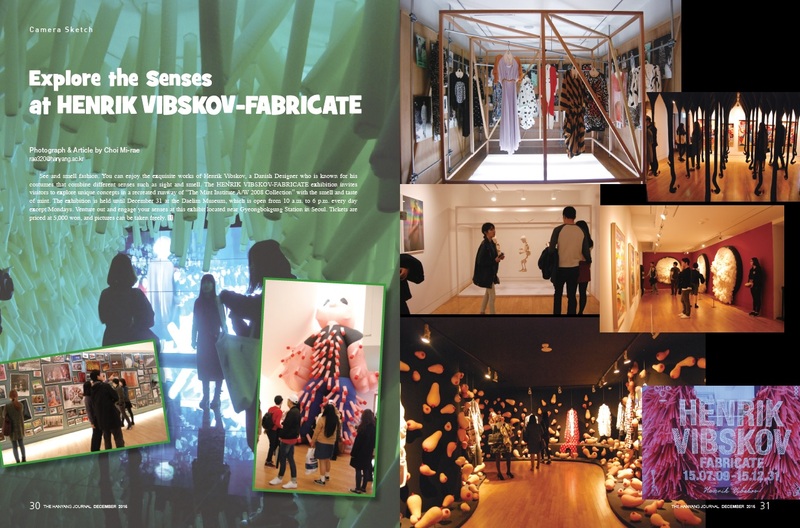 Venture out and engage your senses at this exhibit located near Gyeongbokgung Station in Seoul. Tickets are priced at 5,000 won, and pictures can be taken freely.